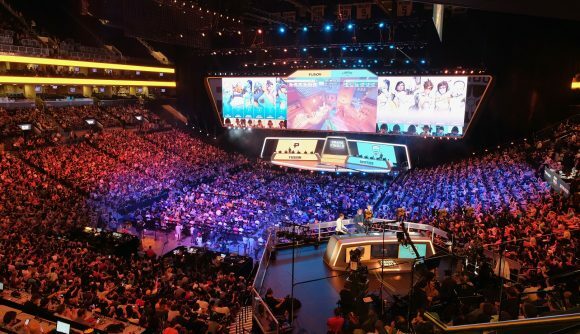 Overwatch League’s inaugural season saw Blizzard’s competitive shooter gain an incredible amount of momentum, positioning it as one of the biggest esports in the world. Now, OWL has revealed the first details for season 2, that will significantly expand the scope of the league. Season 2 will kick off on Thursday, February 14, 2019 and will see matches played across four five-week stages. All games will be played at Blizzard Arena, Los Angeles. Eight new teams will be joining the league, raising the total number of squads to 20. With so many new teams entering the fray, matches will be more spread out, with each of the 20 teams playing between zero and two matches per week. Both fans and members of the esports industry have raised concerns about player burnout due to the tough schedule of the OWL’s first season, so this new timeline seems to a way of addressing this. Paris, Toronto, Washington D.C., and Atlanta will join the Atlantic Division, while Vancouver, Chengdu, Guangzhou, and Hangzhou will join the Pacific Division. The winners in each division will proceed to the postseason stages. Two additional teams will qualify for the playoffs based on the results of a play-in tournament, which will take place immediately after the regular season. There will also be longer breaks throughout the season, including an extended break around the All-Star Event, which will take place between Stages two and three. One of the things that makes the Overwatch League unique in the Esports scene, is how each team is tied to a real-life city. It seems that the OWL is looking to build on that geographical identity by encouraging teams to visit their home markets for public appearances, meet and greets and the like. As part of this effort, Season one champions, London Spitfire, will be paying a visit to London this month for a fan event called Gilded Gala. Ticket information and full schedules will be revealed later this year.